Benidorm, 23/08/2018. The Hospital IMED Levante, official medical service of the Benidorm Handball Club, is meeting the male team players of the club in August, that will fight for the fifth consecutive year for the Asobal League, the highest national handball category and one of the best leagues in the world. Both entities announced some weeks ago that they renewed and reinforced the agreement that started three years ago. As in previous years, all members of the first team will have a complete check-up that includes an ecg, an echocardiogram and an ergospirometry. Each one of these tests has a particular function. The echocardiogram is an image test that allows the observation of the cardiac structure in real time and allows the evaluation of the origin of some cardiac murmurs, check which is the function of the heart’s bomb and see how all the cardiac walls move and its thickness. 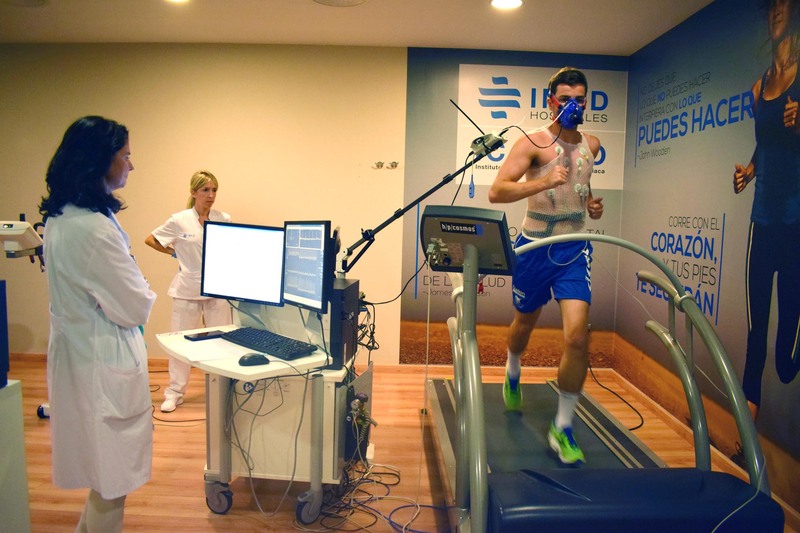 The ergospirometry, is a test in which we can observe the electrical working of the heart when the body make a physical effort. Moreover, the gas interchange that is produced during exercise is measured. This test has a diagnosis value and also give information to physical trainers of the club to face the training planning. 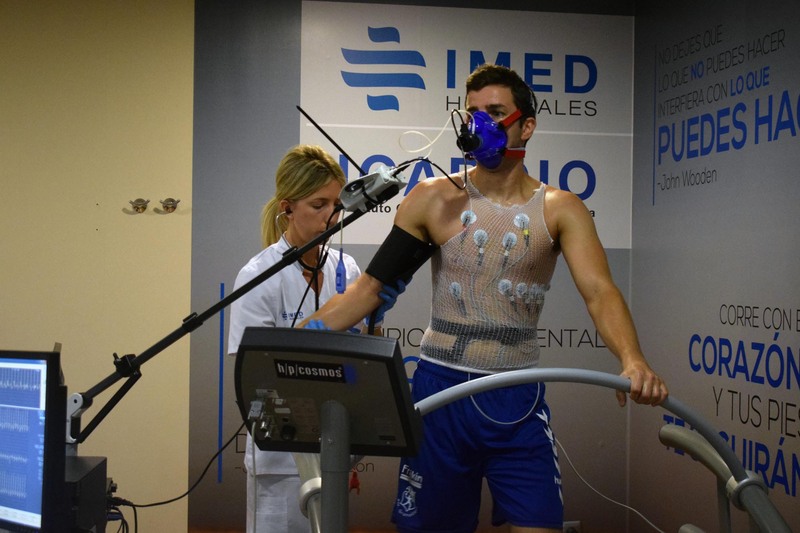 Dr. Masiá, head of the Sports Check-up Unit trained in the Superior Council of Sports, is in charge of these tests. Javier Abínzano, president of the Benidorm Handball Club wanted to “thank again the collaboration of the hospital with the club”, and added that “to have Dr. Masía as sports medicine reference and also the support of a center like IMED Levante is an honour for us”. These tests are inside the general agreement of the club and the hospital center, that also want to continue promoting health and sport. Nowadays, sudden death cases in sports appeared in communication media very frequently. 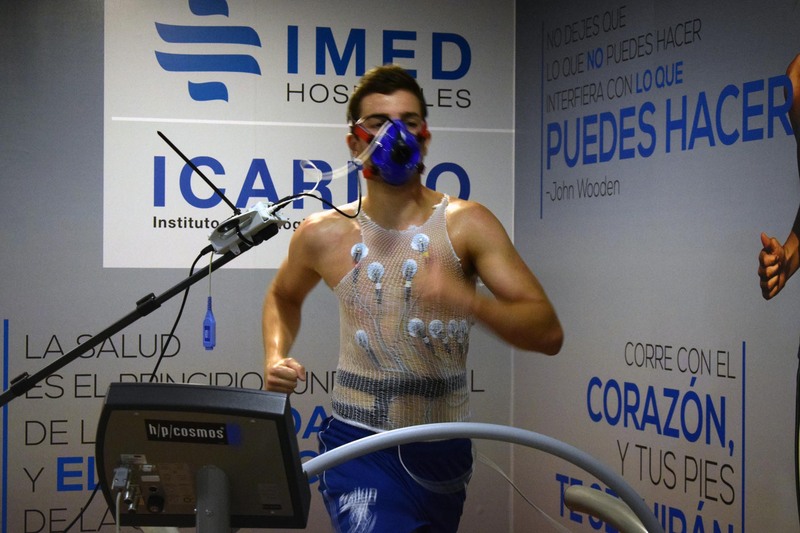 Dr. Masiá insist in the idea that “everybody that begin to practice sports or those who practice it regularly should at least have a previous check-up, if we refer to athletes that have physical activity of high intensity is more than justified”. Check-up should be done in a regular way because the heart suffer some adaptation that we have to control and sometimes can create some diagnosis problems with some heart diseases that are important to differentiate”. It is complicated to give a universal pattern of periodicity, so it would be the doctor who determine, considering the athlete characteristics, when he has to repeat the study.